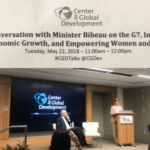 We are making great progress in our mission to foster a network of young, empowered female leaders who create and innovate sustainable development initiatives in their communities. After leading Summer and after-school programs, we have decided to focus on educators and school systems as the most promising way to reach more young people with Visionaria learning experiences. The “Visionaria for Schools” program represents our first step towards our greater mission. 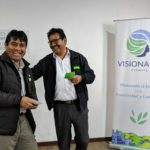 Its goal is the integration of Visionaria lessons and activities into classrooms throughout the Americas – starting in the Cusco region of Perú. Our success will see thousands of young women with shared Visionaria experiences (the combination of socio-emotional skill development & social innovation projects). We plan to work tirelessly to promote and share the insights and results of Visionaria participants, so that more young women (and societies around them) will become more confident in their undeniable leadership potential. Our goal for 2017 was to train ~30 teachers and reach 600+ Visionarias. We are early on the path to accomplish this, having trained 23 active teachers as Visionaria Facilitators in March and now reaching ~520 students in 5 schools in the Cusco Region (1 in Poroy, 2 in Pucyura, 2 in Cusco). One incredible regional manager oversees 2 coaches that support these teachers, schools administrators. We aim to continue growing, proving our value, and catering to several more schools interested in implementing Visionaria for their students during precious class time. We have been busy, and ahead of schedule in 2017. We are a small team but pride ourselves in our ability to roll up our sleeves, deliver on planned programs, and have fun while we do it. Our goal for 2017 was to train ~30 teachers and reach 600+ Visionarias. 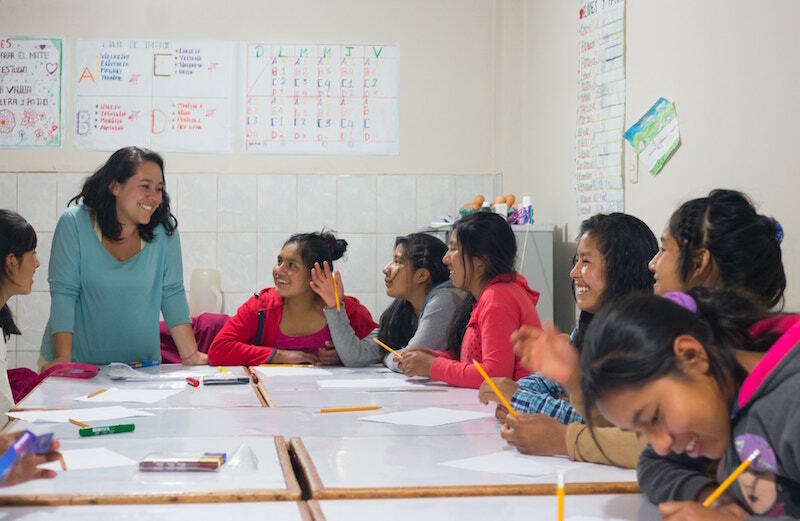 We are early on the path to accomplish this, having trained 23 active teachers as Visionaria Facilitators in March and now reaching ~520 students in 5 schools in the Cusco Region (1 in Poroy, 2 in Pucyura, 2 in Cusco). We have 1 regional manager overseeing 2 coaches that support these teachers, and several more schools interested in committing their teachers to implementing our program this year. NEED relevant learning experiences and opportunities to practice skills outside of the classroom. 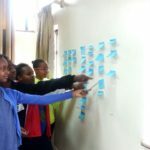 WANT to improve their communities and solve problems (especially girls). NEED to meet a changing set of educational standards. WANT to continue developing professionally without overworking themselves in isolation. NEED to solve a myriad of complex, interrelated, localized development problems. WANT more manpower and data to design and implement better initiatives. 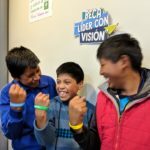 Paola Saldivias Mendez, Visionaria Network’s Andean Regional Manager & Master Facilitator, has a great gift for explaining agency-based empowerment and leadership concepts to teachers and youth alike throughout Latin American. Paola brings experience as a manager of household energy technology programs in Bolivia, Peru, and Guatemala, and has facilitated adult entrepreneur training programs utilizing similar lessons and activities. Our progress is a testament to her massive efforts and close collaboration with Visionaria Network’s executive director, Paul Spurzem, and president, Genevieve Smith. Regional Manager & Master Facilitator, Paola Saldivias Mendez leading a workshop with young women supported by the Sacred Valley Project. 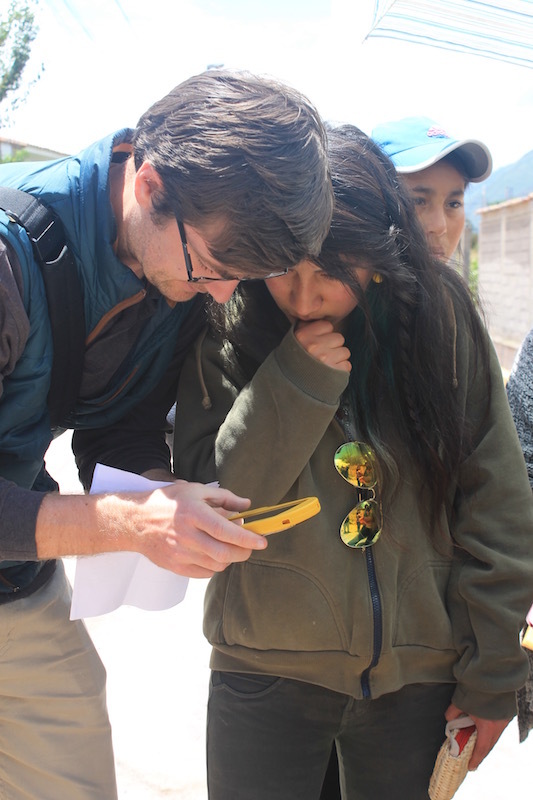 During the Visionaria Perú program, Paul Spurzem helps a Visionaria access google forms to collect survey answers from community members in Yucay and Urubamba (Sacred Valley). Paul also spent the first 6 weeks of the year in Cusco, Peru, to oversee the Visionaria Peru Rotary project and build new relationships and program materials in collaboration with local educators (who are critical to Visionaria Network’s success). Paul has since traveled back to the U.S. to handle several administrative matters for Visionaria Network, which received recognition by the IRS as a 501(c)3 non-profit this February. 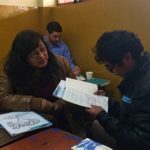 Meanwhile, Paola has cultivated a team of coaches in Cusco to handle the growth of Visionaria programs, building our capacity to support 25 newly trained “Visionaria Teacher Facilitators” and the replication of the program throughout the country. Teachers not only need high quality lesson plans and planning tools, but they also need self-reflective time to digest, improve, and evolve. Our network support builds in this time, coupled with motivation, conceptual synthesis, and tips for modifying and executing lessons in the classroom. The Visionaria lessons and methods support personal agency and well-being, which psychologists are quite familiar with, and are naturally drawn to Visionaria methods and learning objectives. Our growing team of Visionaria coaches in Perú draw from their experience as motivational speakers, mentors, and adult psychologists. Our desire to support teachers has proven most effective by communicating clear boundaries in what we are able to provide. While we’re sensitive to a myriad of teacher requests, we focus on the resources we are best equipped provide. We provide examples of alignment with student learning competencies and existing curriculum area requirements (and how each Visionaria lesson might achieve these objectives), but it is ultimately the teacher’s responsibility to complete their annual plan. Our team is always available to review and assist with the planning, but we are finding that many questions can be answered through highlighting the tools we’ve already provided. In response to this we have are planning to create new instructional videos and guidance to make it easier for teachers to engage with our existing tools and methods.